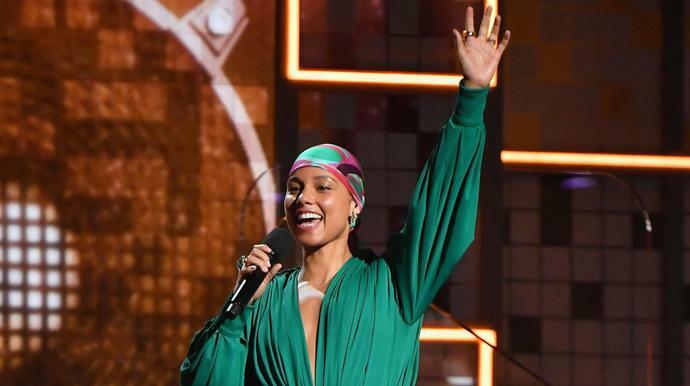 The singer-songwriter opened Sunday night's show by bringing out four influential women: former first lady Michelle Obama, Lady Gaga, Jada Pinkett Smith and Jennifer Lopez. "Tonight we celebrate the greatness in each other," Keys said onstage. Obama celebrated the "one and only" songstress in a post published to Instagram on Sunday. "I was thrilled to be there for the one and only @aliciakeys at the #GRAMMYs," Obama wrote in part. "She is one of the most genuine, caring, and thoughtful people I know-there's no one better to help us all celebrate the unifying power of music!" During the show, Keys skillfully sang a melody of songs - playing two pianos at the same time nonetheless. Her performance sent Twitter abuzz. "I know what it feels like to be on that stage, and I'm going to bring that vibe and energy," Keys told Billboard last month.